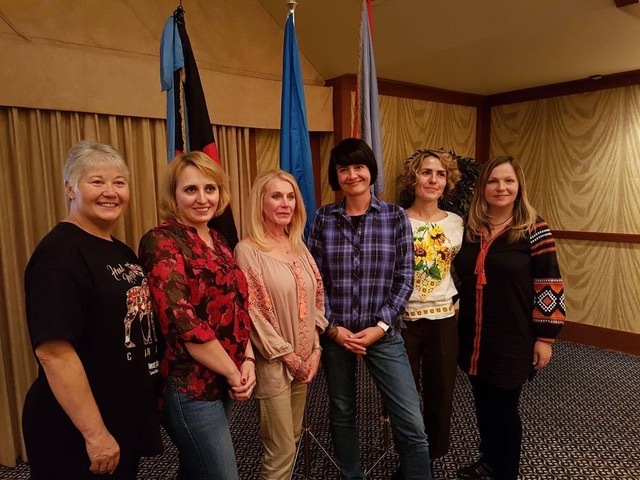 On September 16 and 17, the Calgary Chapter of the League of Ukrainian Women in Canada was invited to join the Edmonton Chapter of the League of Ukrainian Canadians at the Ramada Hotel in beautiful Canmore, Alberta for a weekend conference. 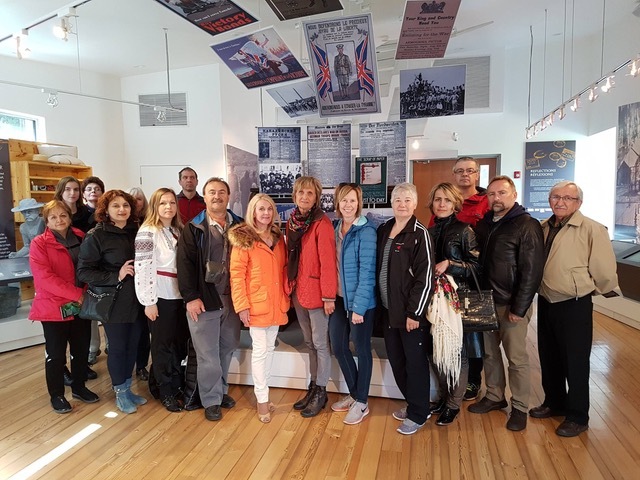 Before the Conference opened on Saturday evening, a busload of members from Edmonton was able to visit Banff and take in the sights. 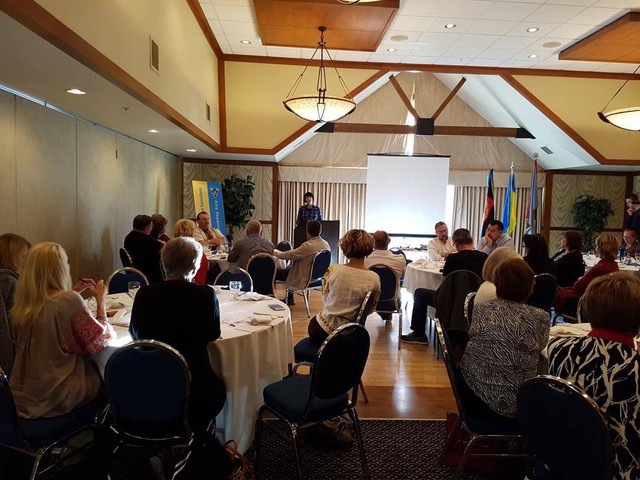 Yaroslaw Szewczuk and Ihor Krys reported about the projects of LUC in Edmonton, while Ivanka Szewczuk and our very own Iryna Zhygimont reported on the Edmonton and Calgary Branches, respectively. Following an informative discussion about membership issues, projects and joint collaboration, we had an opportunity to exchange and share ideas for the future. We mingled and enjoyed a lovely dinner. 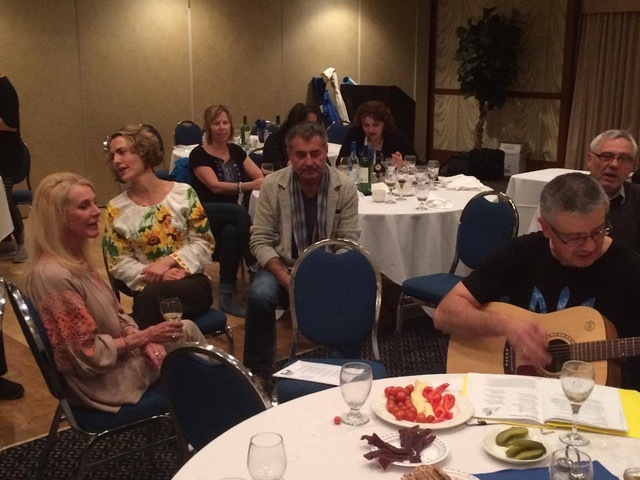 Many of us stayed up late to socialize and enjoy some humorous anecdotes, jokes and wonderful impromptu singing! This is what we call a tovarys’ka zustrich! Sunday morning started with a hearty breakfast followed by a drive out to Johnston Canyon. 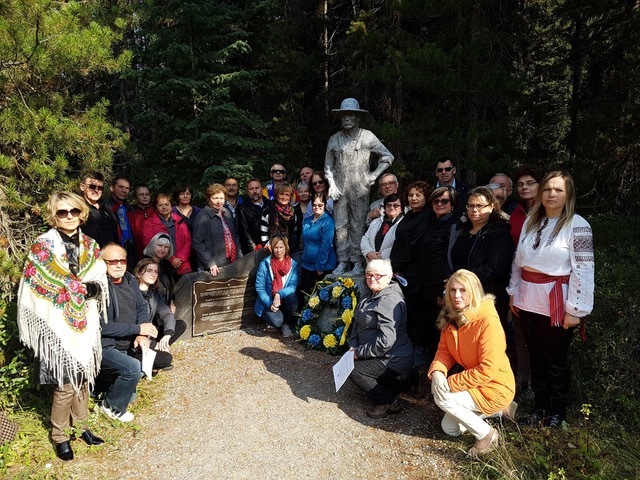 LUC members laid a wreath at the Internment commemoration monument, installed by the Ukrainian Canadian Civil Liberties Association. This site is very close to the original Castle Mountain Internment camp and was where we joined in prayer and the singing of Vichnaya Pam’yat. It was a very moving tribute to those who were interned and/or perished here, many of whom were Ukrainian. We proceeded into Banff to visit the WWI Internment Museum at the Cave and Basin. 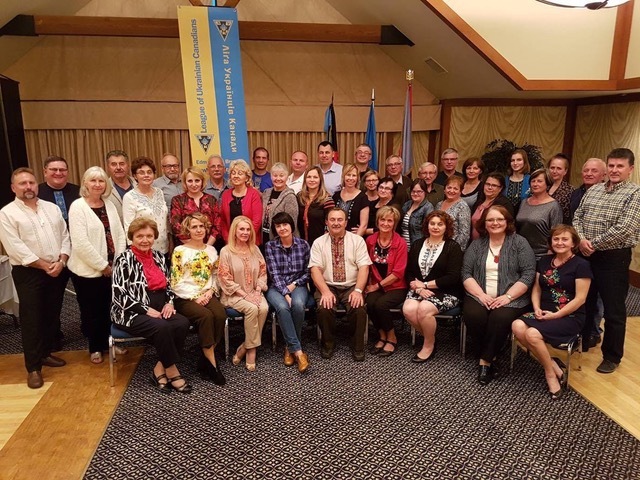 We wish to thank our generous hosts and colleagues, the League of Ukrainian Canadians, Edmonton Chapter, for their hospitality and friendship! We look forward to future gatherings and joint projects!